High fantasy games with an expansive lore, there is a lot to love about the Elder Scrolls, and with a massive open world filled to the brim with adventure opportunities, there is a lot of Elder Scrolls to love. Whether you have been enjoying the franchise since 1994 or regularly play Elder Scrolls Online, Superheroes Direct is sure to have something for you. Whether you are a fan of Daedric warriors, the Dovahkiin, or the wicked dragon Alduin the World Eater, our collection of POP figures includes any character you need to complete any Skyrim collection. You can also choose from our figures from the Elder Scrolls Online cinematic trailers, including a Breton, a high elf, and a battle-hardened Nord. Keep checking back at this section for updates to our stock of Elder Scrolls collectibles, apparel, and more. Magical, passionate, and with Elven blood, the Bretons are a people renowned for their intelligence and talents. 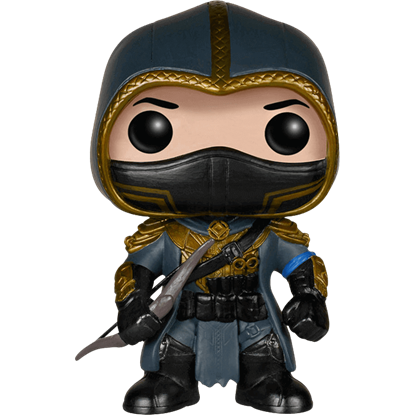 The Elder Scrolls Online Breton POP Figure is a great way to show this character from Elder Scrolls Online on your desk. With the body of a mortal and the soul of a dragon, Dovahkiin from the Elder Scrolls universe exists to defeat Alduin, the Nordic God of Destruction. 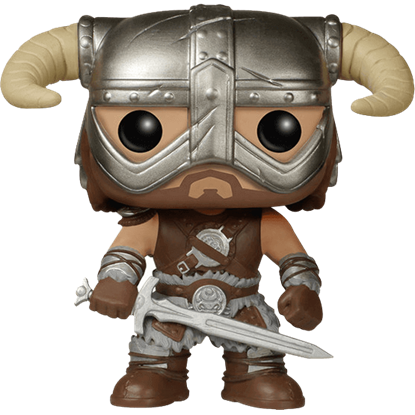 Bring this iconic video game character to life with the Skyrim Dovahkiin POP Figure!